BAHRAIN: It was hard to pick which was the bigger upset result at the Australian Grand Prix: Valtteri Bottas’s emphatic victory or Ferrari’s woeful lack of performance. The Italian marque was the centre of preseason hype ahead of the first race in Melbourne. The Scuderia’s SF90 was the quickest car of winter testing and demonstrated impressive reliability. Mercedes, on the other hand, despite having swept up the previous five world titles, struggled to master its 2019 machinery. Each team sought to talk the other up, to make themselves the underdog. 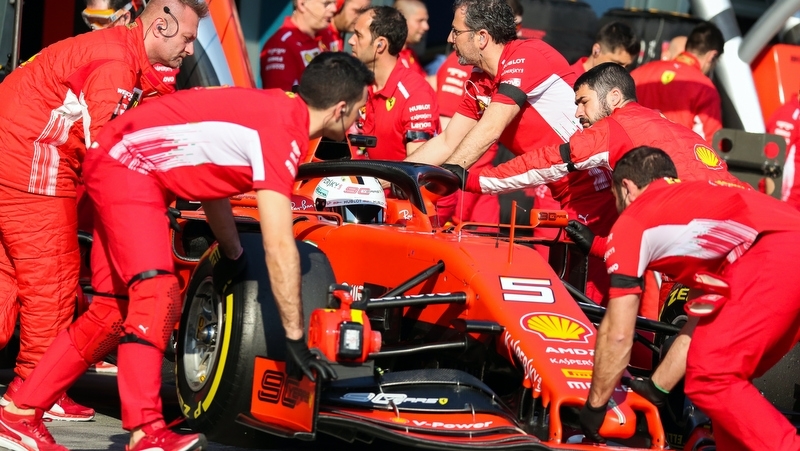 Neutral analyses of preseason data were generally in agreement that the red team had stolen a march on its silver rival thanks in part to some aerodynamic regulation changes enshrined in the rules late last year. The only question was by how large a margin. So when Ferrari was bested by 0.7 seconds in qualifying and vanquished by almost a minute in the race, the entire paddock was taken by surprise – including, most concerningly, Ferrari itself. “It’s not what we were expecting,” Ferrari principal Mattia Binotto said after his first race at the helm of motorsport’s most famous team. “Winter testing was certainly different. The long-haul flight back to Maranello would have been a restless one, but weary minds would at least have been motivated by the fact the car’s comprehensive preseason performance had been genuine. The problem therefore isn’t existential; the answer lies somewhere inside the car. For example, there are substantial differences between the Circuit de Barcelona-Catalunya and the Albert Park street track that hosted the season opener. The former is a newly resurfaced permanent circuit, smooth and flowing and dominated by aerodynamically-sensitive high-speed corners. The Melbourne road course, on the other hand, is a bumpy, low-grip surface comprising mostly medium and slow-speed turns that rely more on mechanical grip than aero performance. Add in the warmer climes of autumnal Melbourne and the set-up challenge becomes starkly different to that which faced the teams in wintery Spain. Ferrari struggled to adapt to these differences and appeared to simply run out of time to set up its car correctly to tackle Melbourne’s unique demands. “I didn’t get that confidence that I had in Barcelona, so I didn’t have the car underneath to play around,” Sebastian Vettel said after finishing fourth in Australia. “Clearly we’re missing something. The next round in Bahrain on March 31 will present again a different challenge for Ferrari to confront. The Sakhir International Circuit is more traditional in its layout, and though not as aerodynamically sensitive as Barcelona, is more representative of a car’s general pace than Melbourne. And after a week of analysis at the factory, Binotto believes his team has cracked its problems and is aiming to hit back against Mercedes at the night-time desert race. One bad race doesn’t spoil a season, but allowing another round to pass without unlocking the car’s potential will only ratchet up the pressure on a team expecting to make amends for 2018’s embarrassing title loss. This weekend’s Bahrain Grand Prix will be an important weekend to steady the nerves for the long season still ahead.